ئەمڕۆ هەینی 8 ی مانگی سێ، ڕۆژی جیهانی ژنانە و لە سەرانسەری جیهان چالاکی و فێستڤاڵی جۆراجۆر بەم بۆنەیەوە ئەنجام دران. 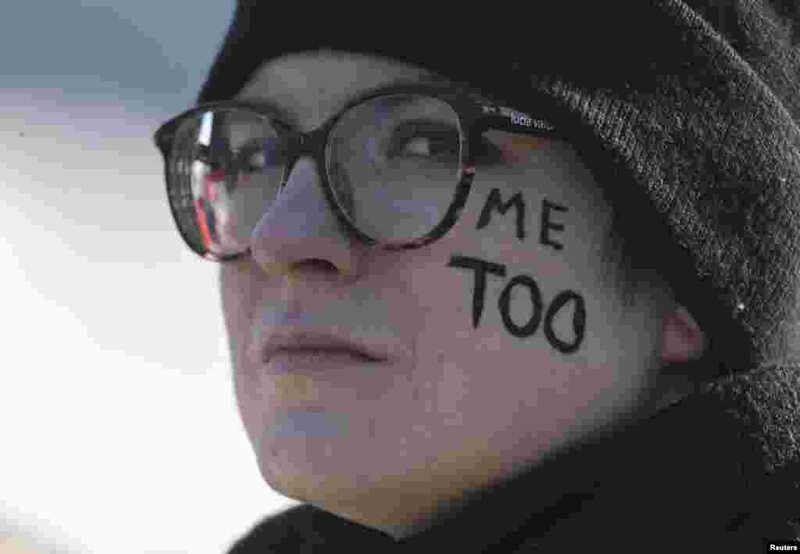 ٥ A participant attends a rally, held to support women's rights and to protest against violence towards women, in Saint Petersburg, Russia, March 8, 2019. 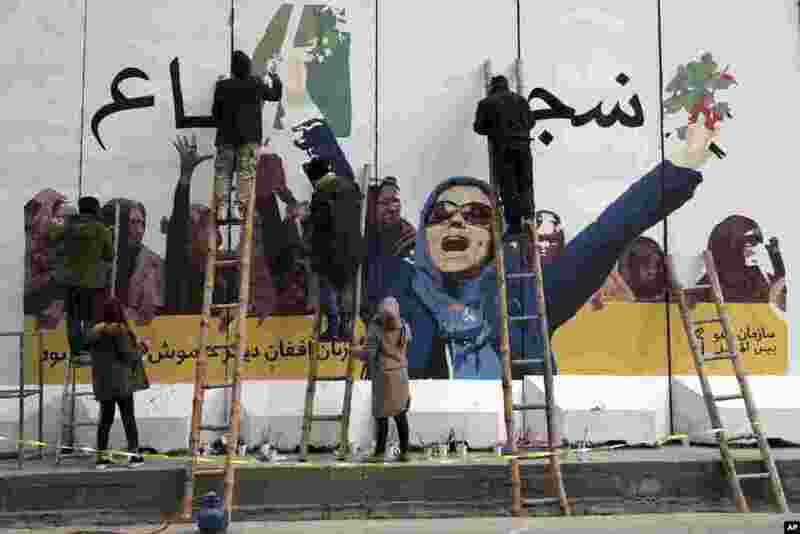 ٦ Independent Afghan artists draw a graffiti on a barrier wall of the Ministry of Women's Affairs to mark International Women's Day in Kabul, March 8, 2019. 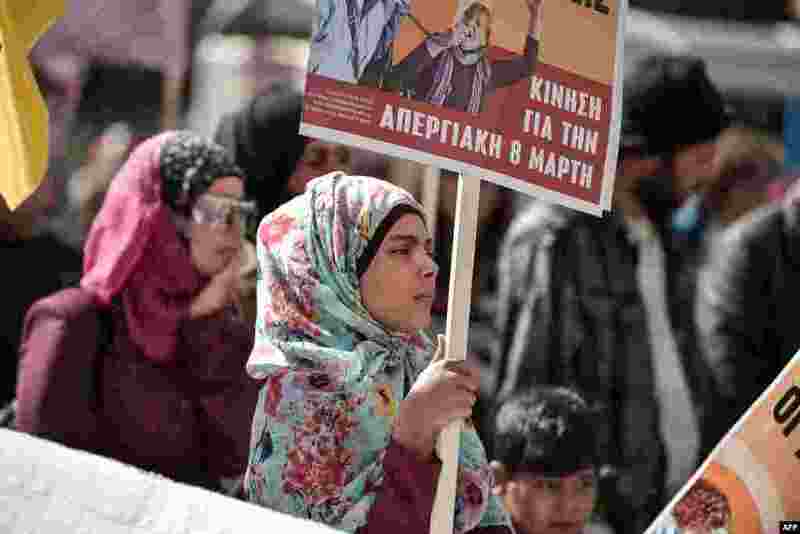 ٧ A migrant girl holds a placard as she takes part in a march in central Athens on March 8, 2019 during a women's strike to mark the International Women's Day. 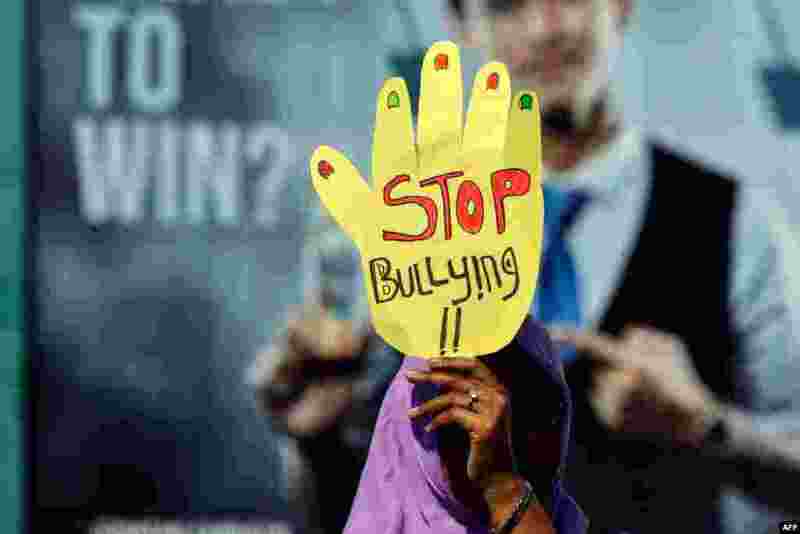 ٨ An activist takes part in an event to mark International Women's Day in Banda Aceh, Aceh province, Indonesia, on March 8, 2019.